Timing is everything, especially for this dedicated student. 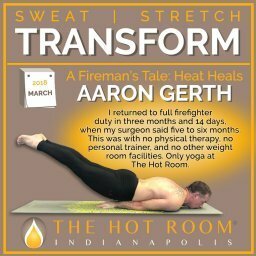 Freshly arriving to Indianapolis one year ago, Domini found the Hot Room at the beginning of the 30-day challenge. She was more than ready to jump right into this challenge at full force, knowing it would be good for her physically and mentally. After a little motivation from instructors David and Preciss, Domini met them on the mat for 30 days in a row! The Hot Room has been her second home ever since. 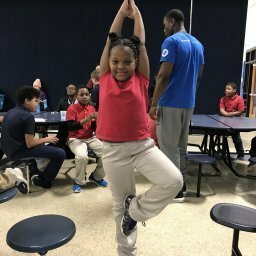 In this pivotal period in her life, Domini was experiencing external and internal factors that caused her to gain 55 lbs, develop high blood pressure, and overall just feel unbalanced. She didn’t even recognize herself. Essentially – she needed to do something about her declining health immediately, and she knew that. 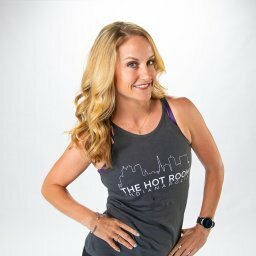 The Hot Room presented her with a consistent space for Domini to focus on herself without any distractions, with the added bonus of an encouraging family of fellow yogis. 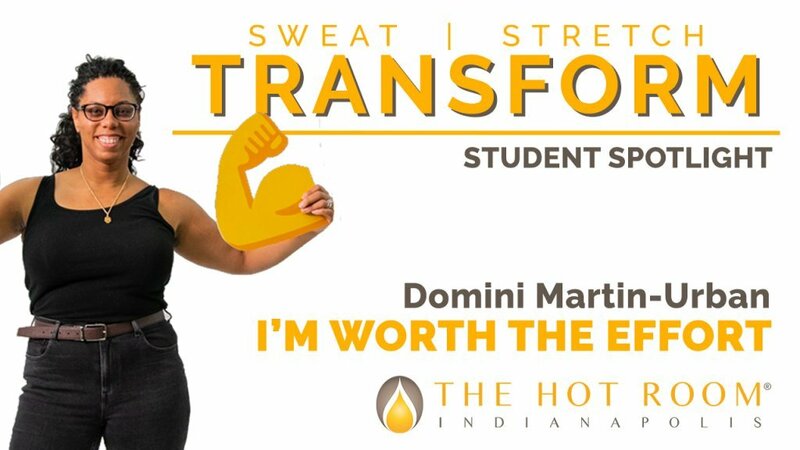 After just one short year of practice, Domini has lost 48.5 lbs and gained an immense amount of increased self-confidence. 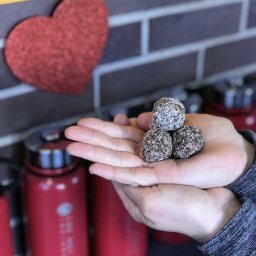 Committing to new habits and achieving the goals she sets for herself empowers her to always move forward, no matter what crazy circumstance the day throws at her. “Each day is a chance to keep going, which is a lot to be thankful for,” Domini said. The enthusiasm that Domini brings into every class disperses across everyone in the room. She’s always encouraging the community to stick to their goals, regardless of how overwhelming they feel in the moment. She’s experienced the transformation this practice has to offer and wishes it upon everyone else around her! Domini believes in the practice so much she decided to deepen her practice and signed up for Inferno Hot Pilates teacher training! We love hearing these stories of transformation. What keeps you coming back to your mat?! Sarah and Dustin Shannon: Learn Together. Grown Together. 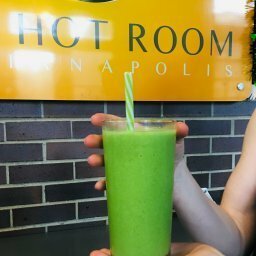 Laura Burdick: My Favorite Healthy St. Patrick’s Day Smoothie!